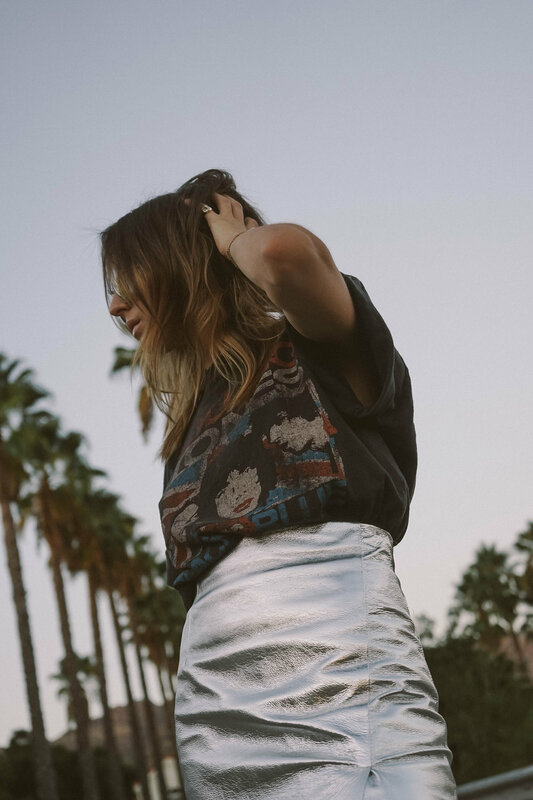 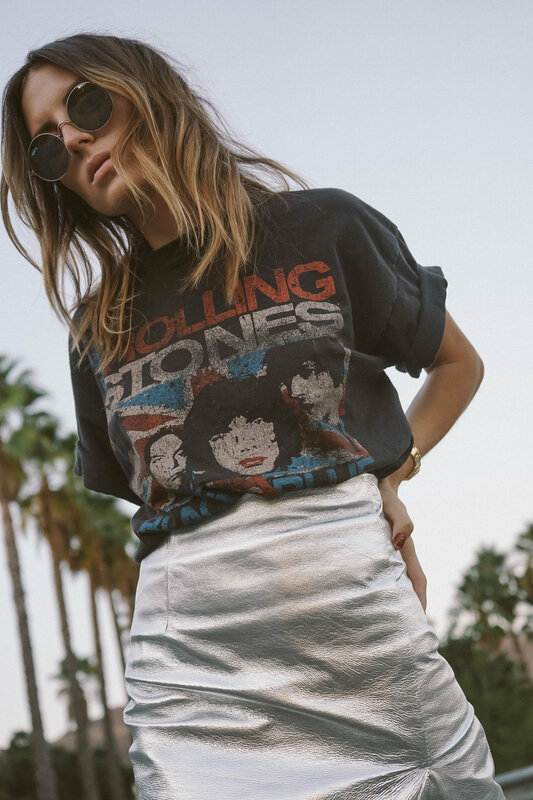 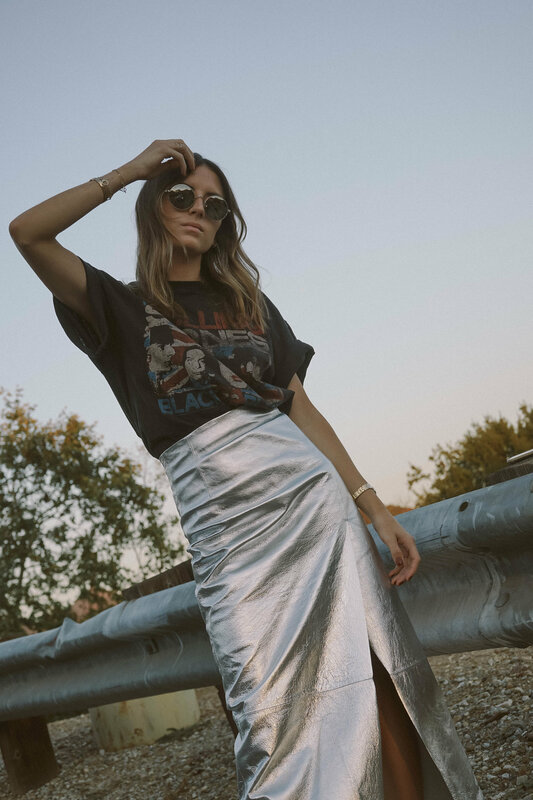 I think a dramatic juxtaposition is a fun way to make a sartorial statement- which I think this metallic midi skirt and faded Stones tee do just perfectly. 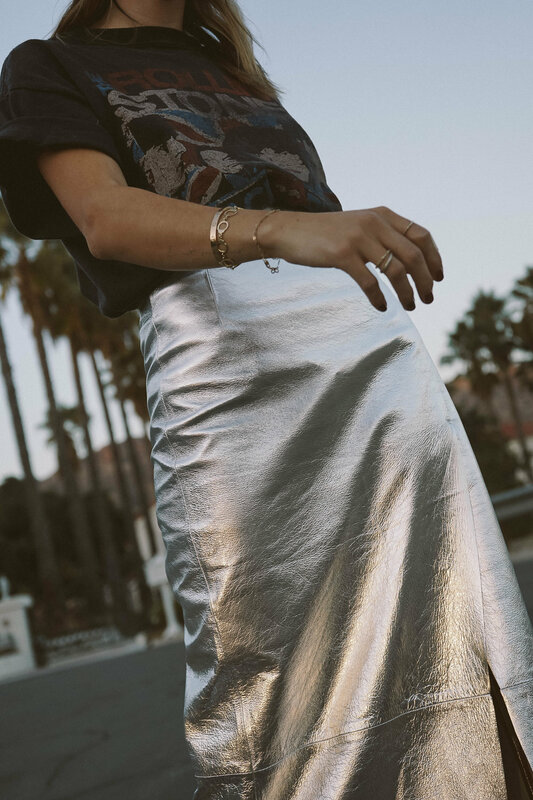 There's nothing I love more than majorly dressing a piece up or down! 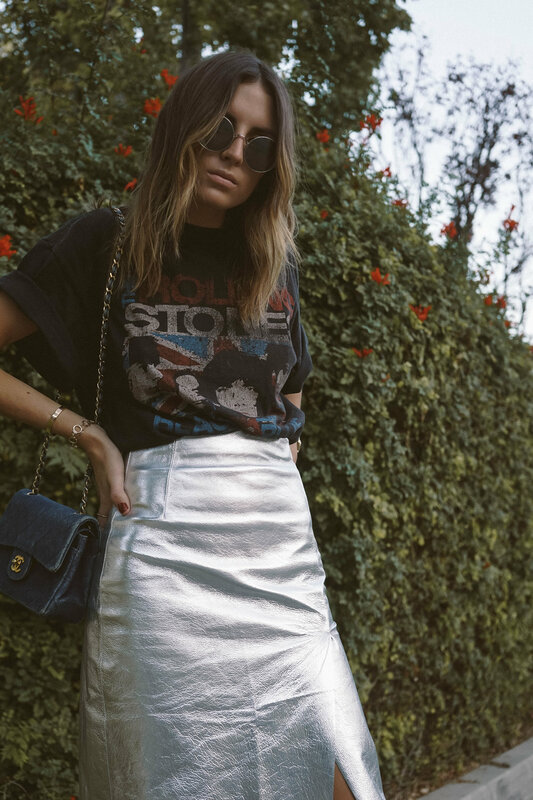 I wore this combo with my old favorite Stan Smith's, vintage denim Chanel bag, and my usual stack of gold jewelry.